Seen a good video or read a good book on this topic? Tell us about it here. Is it in the eye of the beholder or itself a beholder? 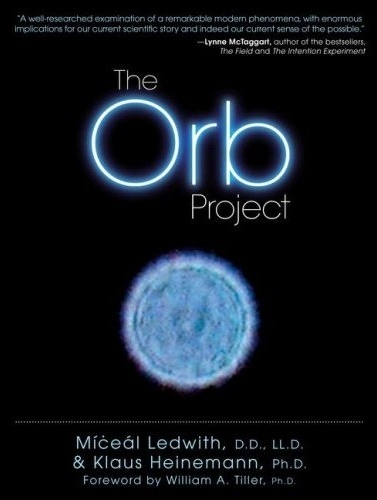 There was no way I was going to miss the opportunity talk with M?ce?l Ledwith, [pronounced Me-haul] who with Klaus Heinemann authored 'The Orb Project' (Beyond Word Publishing / Atria Books / Simon & Schuster ; November 6, 2007 ; $18.95). I actually ended up going directly from my chat with Michael Pollan over to Gateways Books and Gifts so that I had at a least a few minutes with the man who had a collection of over 150,000 photographs of Orbs ? which he and many others believe to be intelligent spiritual entities that have something to say to us mere humans. Ledwith told me about the various levels of reality that each variety of Orb inhabits, and explained how he knows that they are not merely dust motes on the lens. The book itself is filled with gorgeous and occasionally frightening photographs, and it's essentially two books between one set of covers. Each writer takes about 90 pages to give his perspective on the phenomenon; they have very different approaches. Lediwth is a theologian, and his perspective is spiritual, as was his journey from being part of a commission that advised Pope John Paul II to his current work with orbs. Heinemann is a physicist, and his journey is one of theory. Together, they give a thorough look at this very strange phenomenon. 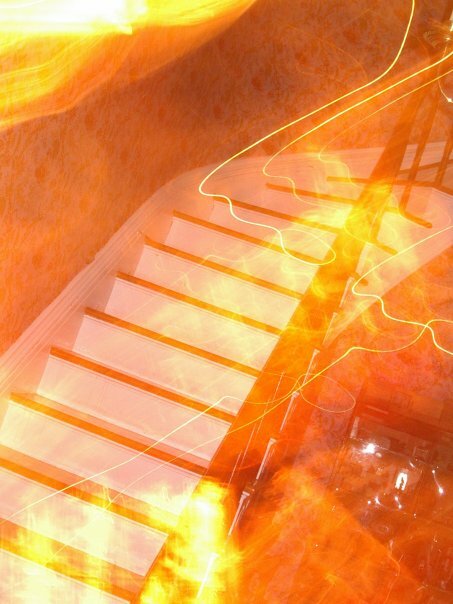 You don't have to believe that these images are indeed spirits that inhabit other levels of reality to find their presence and discussion of interest. For me, I find the people who discuss them ? and what they have to say about them ? as fascinating as the various theories put forward to describe, and yes, dismiss them. We live in a reality that is difficult to share with others, and photographs are one this world's best ways of bridging the gap from one person to the other. And perhaps from one reality to another as well.